Improving the transparency of the market and creating free zones will be key to attracting foreign investment into the Abu Dhabi real estate sectors, an industry expert says. With the growth of foreign direct investments in the emirate – increasing seven per cent last year according to Statistics Centre – Abu Dhabi – the government is making extensive efforts to improve standards, regulations and buying opportunities, motivating foreign companies and individuals to continue investing in the local economy. Supporting the creation of new investment environments will be one of the key topics debated at the Cityscape Abu Dhabi Conference next month, taking place on the first day of Cityscape Abu Dhabi, which runs from April 18-20 at the Abu Dhabi National Exhibition Centre. With more than 25 free zones in Dubai compared to Abu Dhabi’s five, Craig Plumb, head of research at JLL and moderator at the conference, believes the concept of free zones needs to be developed further to enhance the capital’s residential, office, commercial and warehouse real estate sectors. “Currently the market is going through a cycle, which is perfectly normal for any real estate industry worldwide. For buyers who are looking at the property sector as a long-term investment now is the perfect time to buy. As the UAE market grows and matures the volatility of the sector will decline, making returns more stable and predictable, which in itself will attract more investors,” added Plumb. Omar Al Busaidy, Abu Dhabi experience development unit head at the Abu Dhabi Tourism & Culture Authority, will deliver a keynote speech and provide an exclusive insight into destination Abu Dhabi and how building new investment hot spots and creating long-term management prospects is key to creating an attractive hub for local and international real estate investors. “Partnership with the private sector is one of the guiding principles in our tourism growth strategy, and the development of a set of distinct districts with clear value propositions for tourists across all three regions of the Emirate focusing on cultural, leisure and nature offerings has been identified as core deliverable to achieve this,” said Al Busaidy. David Dudley, Regional Director of JLL and headline speaker at the Cityscape Abu Dhabi Conference will reveal the recent performance of each real estate sector for the first quarter of 2017 and discuss the best investment opportunities with key industry players. “Abu Dhabi’s market experienced a very major upswing from 2013 to 2014, led by the residential sales market, with prime residential prices growing at 25% per annum, the pace of which was unsustainable,” Dudley said. Cityscape Abu Dhabi will provide the perfect platform for investors to find opportunities across all price points in the region, as well as the latest international developments, as more than 130 exhibitors from around the world come together to showcase their latest projects. “Investment opportunities remain, particularly for existing income producing assets – and we continue to see keen interest from investors taking a longer term view on the future growth potential. Key opportunities are to acquire income producing assets or to enter in to build to suit arrangements with corporate tenants – targeting functional real estate in established locations which will sustain high occupancy levels,” Dudley added. 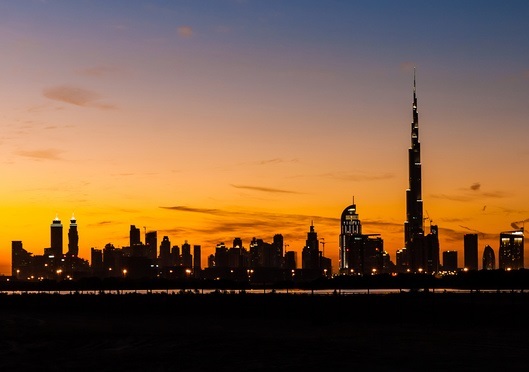 Other prominent speakers at the conference include Maan Al Awlaqi, Director of Aldar Properties, Mohammed Al Fardan, Director of Masdar City Free Zone, Ann Boothello, Senior Marketing Manager at Dubizzle and Sean Magee, Senior Legal Counsel, TwoFour54.